The Board of Directors will be responsible for assessing the overall direction and strategy of GRMI towards achieving its mission and implementing its goals. It will monitor and control the functioning of faculty and staff members, with an aim to driving continual improvement in teamwork, professionalism and competency development. The primary objective of the board is to provide directional and strategic inputs to ensure that we build a world-class institute and continue to evolve, in order to retain the edge of being a pioneering institute for students in domain of Risk. GRMI’s Strategy Board includes eminent business leaders from the industry and top consulting firms. The composition of the Board of Governors has been done with an objective of providing a global dimension to GRMI from its very inception. 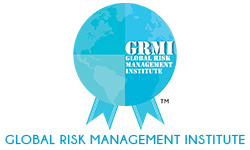 We recognize that these are leaders geographically dispersed and hence would be constrained in participating as actively and in person as Board of Directors and Strategy Board members, but each of them brings to GRMI a very distinct set of values that ensures that the programme, its curriculum and management are kept alive to the continuous evolution of risk in the global landscape. Some of the BOG members are at present unable to devote enough time to be actively engaged in either of the boards but are committed well-wishers of GRMI, emotionally invested in its cause, who have promised to to help build GRMI as an aspirational institute in the Risk domain. . While the BOG is essentially an advisory council, one of its key objectives is to continuously explore avenues to improve the programme and make it global. GRMI’s Board of Governors includes eminent business leaders from the industry, past audit heads from the industry and consulting firms, as well as some past directors of premiere educational institutes. The Academic Council is one of the principal drivers of excellence through its direct involvement in all knowledge-related aspects of the Institute: course curriculum development, ongoing case study development and enhancement, knowledge body association decisions, decisions on introducing new curriculum.. Composed of a variety of successful professionals, such as, tenured professors in leading Universities, policy-makers, researchers, theoreticians, and consultants, the council combines the very highest standards of teaching, corporate realism and mentoring. GRMI’s Academic Council members are active and regular participants in international conferences and events. They have been pioneers and key leaders in building some of the better institutions of learning in the country. They contribute to international journals and collaborate with a broad range of agencies to develop and execute consultancy projects. They serve on executive committees and policy formulation boards of a variety of organizations including corporations, financial institutions, academic institutions and international agencies. Such active involvement of the members in a wide range of activities generates precious cross-fertilization and keeps the academic programs up-to date.